For some reason this press release didn’t make it onto the site at the end of last year – so for your enjoyment, if a little belated, here it is now! 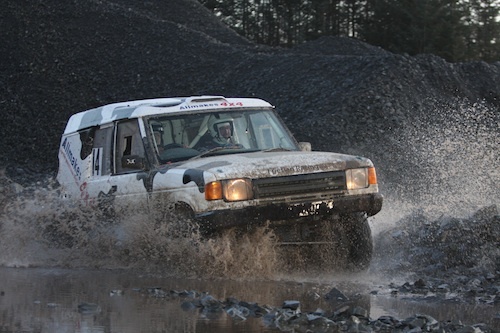 The Allmakes 4×4 (Didcot) supported Friesian Racing herd had high hopes for the final Hillrally event of the year, following on from a dominant class win on the Scottish Perthshire event, the Scottish Borders offering had terrain better suited to Muddy Moo the team’s V8 Land Rover Discovery. “We carry a bit more weight than some of our rivals and have a bit less power, but in amongst the fast gravel tracks we are usually able to hold our head up!” Says driver and team principal Henry Webster (Long Hanborough). A twentieth overall and 2nd in class fell short, though, of the team’s usual high level of success. It was a particularly frustrating event for Henry and co-driver Joel Haylock – early on stage 1 the car developed an annoying misfire, which got progressively worse in the following stages, until the car ground to a complete halt in stage 3. 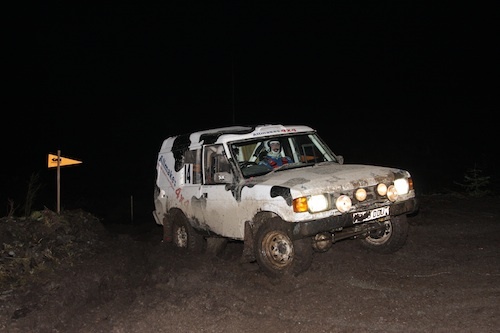 Fortunately the crew were able to re-join the rally after the service, using the ‘Super-rally’ rules which allowed the crew to continue in the event, albeit with a penalty. After a clean run through the next loop of stages, the crew attacked Saturday’s final night stage, drawing on all their previous road rally experience to take advantage of the dark, unfortunately the misfire reappeared. 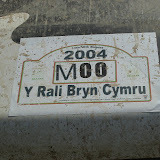 With high hopes that the electrical problems had been resolved, Sunday dawned bright, but with the Muddy Moo now running amongst the backmarkers, it was always going to be a steady progress as the team caught and passed slower competitors in the stages, a blowing exhaust manifold not helping progress. Considering the problems that were endured by the team, they were happy with a 20th overall and 2nd in class. 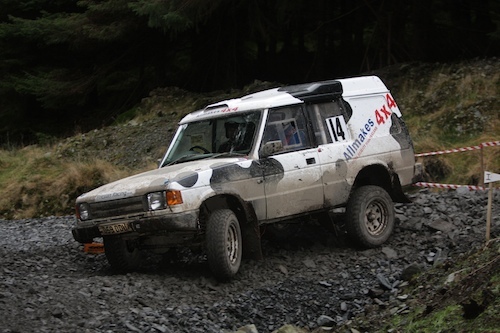 “We had some really good competition in our group with the likes of Johnny Drysdale (Land Rover 110), Phil Bayliss (Land Rover Discovery) and Willie Stubbs (Land Rover 90), but sadly we weren’t able to challenge Johnny for the win this time.” Says Joel. “The stages were fantastic, suiting me and the car down to the ground. The organisation too was very smooth and a credit to the organisers, I can’t wait to be back next year.” Says Henry.